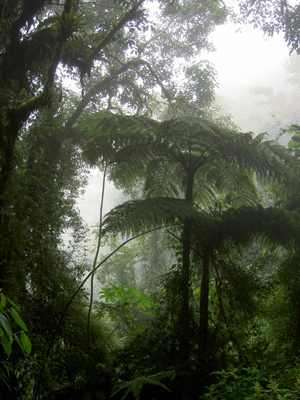 A hike within the transition zone between the extension of the Tunari mountain range and the cloudforest of the Yungas of Chaparé. 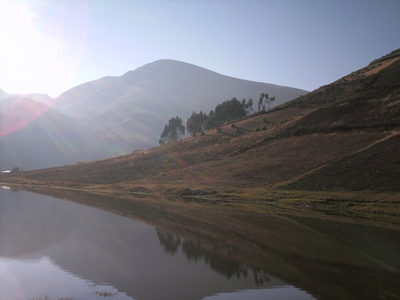 We will leave Cochabamba in the early morging to travel by private transport to the small village of Colomi, 50km from Cochabamba. Here we will start our hiking tour, passing a small community at the lakeside of the Totorani mountain lake with houses made of adobe and thached roofs. 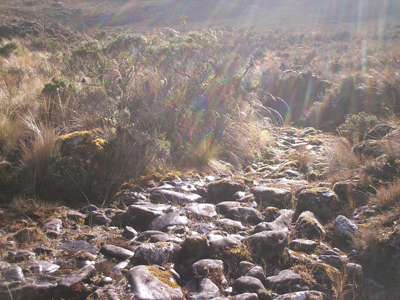 We will follow an old inca path, which will lead us through kewiñas trees (native specie of tree) until we will reach the top of the mountain range which is also called “The Jucumari Mountain Pass” (Mountian Pass of the Andean bear). 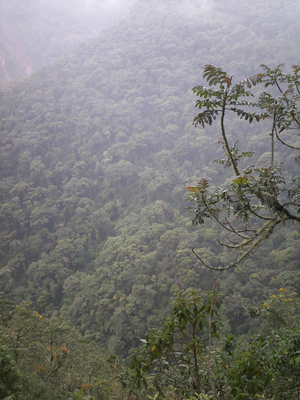 Later at the “Mirador del Inca” (Pukara) we will enjoy the wonderful panoramic view over the valleys of Incachaca and the ancient road to the Chapare. 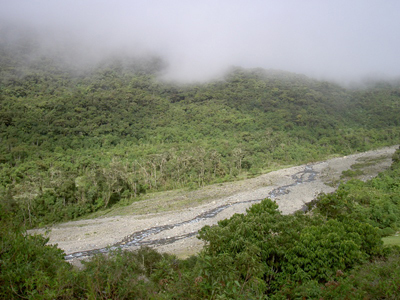 Here starts our descent to the semi-tropical zone of the Chapare. 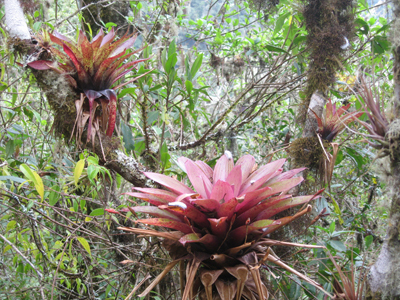 On our way we will pass through dense fog patches and cloud forests with a wide range of flora as for example different types of orchids, bromeliads, and giant ferns. 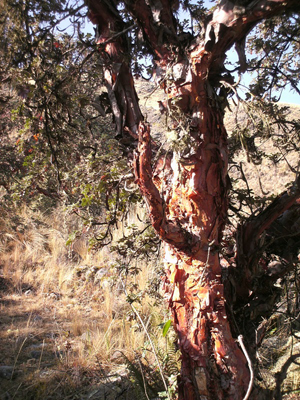 Among the fauna sticks out the Andean bear amongst foxes, an innumerable variety of birds and butterflies, and other wild animals that sometimes can be seen. 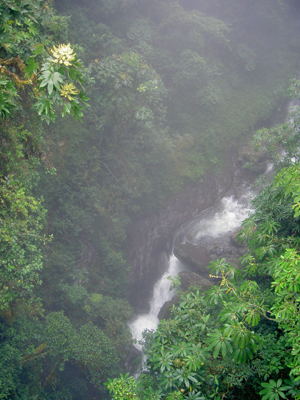 Arriving at Incachaca we will see an incomparable beauty of nature with semisubterranean waterfalls, natural schwimming wholes of crystal clear water, and an over 60 metres deep gorge. 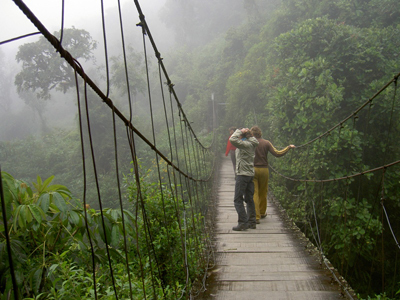 On our cicuit we will pass a suspension bridge, and visit the waterfalls that are also called the “Garganta del Diablo”, the “Velo de la Novia” and the “Baño de las Ñustas”.